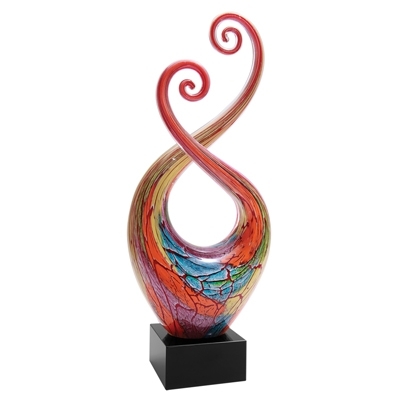 Beautiful 14" multi-colored handmade blown art glass that twists and curls and rests on a black glass base. Your custom text and logo are laser engraved on a black and silver plate. Comes in individual gift box. Due to the handmade nature of this piece, colors and sizes may vary slightly. CURRENTLY STOCK LIMITED.